So your hamstrings are always tight, and they’ve literally been holding you back from achieving your goal of touching your toes for years! You’ve tried home stretching, yoga, massage, the list could go on. But nothing seems to hold sustainable change. 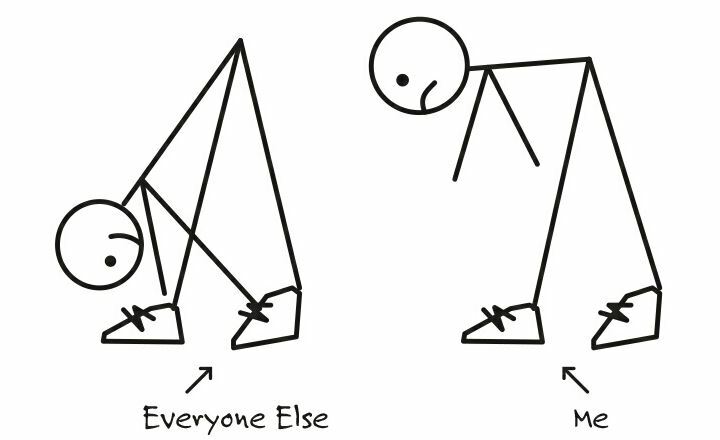 So here is a tough truth: bending/flexing from the hips while keeping your knees straight does not stretch you hamstring muscles. Full stop. But damn it can feel like it right? The truth is that the above movement actually engages the sciatic nerve in the back of your thigh well before it stretches your hamstring muscles. If you pay close attention to what you are feeling during the stretch people often feel it in the calf or in behind the knee – this is your nerve pulling tight, distinctly not your hamstrings. Any tension that develops during the stretch is actually the reverse. Studies have shown that the hamstrings will actually contract during this motion as a protective mechanism to prevent excessive stretch of the nerve (nerves don’t like to be stretched). Yes, the hamstring stretch you always thought you were doing is actually achieving the opposite – hamstring contraction. Some of the latest evidence is actually showing that the most likely reason you can have chronic “tight hamstrings” is because the sciatic nerve develops adhesion (fibrous bands) that literally sticks the nerve to the deep muscles around the hip and back of your thigh. Adhesion can be diagnosed and treated by an expert clinician with special training in Manual Adhesion Release™. This is super common diagnosis and it is highly fixable. When treated, the low back and hips are able to function and move easier. Pain is drastically reduced or eliminated and this may also serve to slow down the degenerative process. This is a very common problem that we diagnose and treat every day at Soft Tissue Solutions.